Welcome back to On The Horizon, our weekly update about what games are coming out and what the Gamer Horizon Crew is working on. All of this week’s new releases are coming out on Tuesday, July 9th. 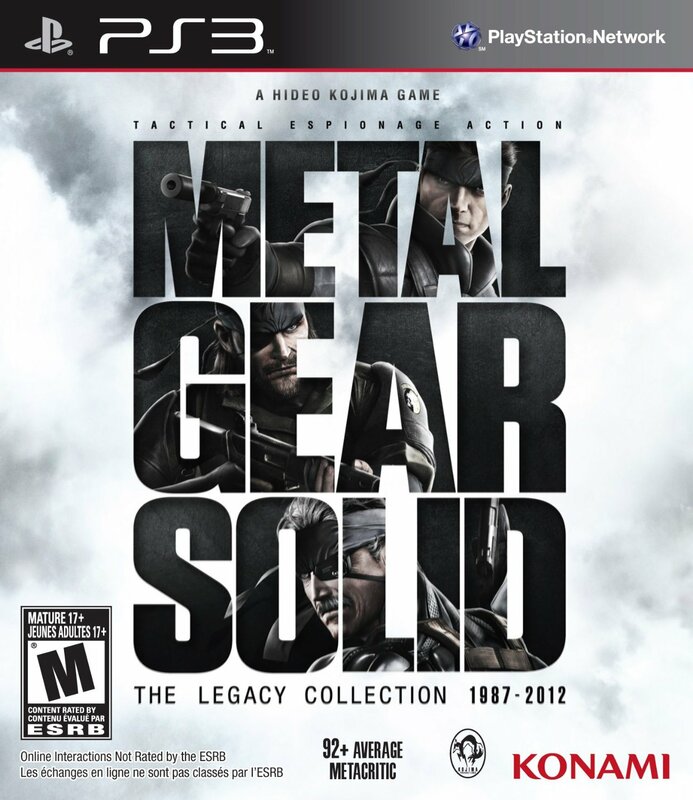 First up is Metal Gear Solid: The Legacy Collection which is coming exclusively to PlayStation 3, courtesy of Konami. It includes every game in the series directed and designed by Hideo Kojima. Check out the list! In addition to the games, Metal Gear Solid: The Legacy Collection includes a 100 page artbook and 2 graphic novels! It’s the definitive collection for fans and newcomers to the series alike. Considering the average Metacritic rating of all of those games is 92, if for some reason you’ve never given the series a try, now’s a perfect opportunity. It’s trailer time! Next up is Dark, a stealth action role-playing game developed by RealmForge Studios and being published by Kalypso Media. In Dark, a newly turned vampire named Eric Bane is suffering from Amnesia and must drink the blood of his sire before turning into a ghoul. The PC version is already available, and the Xbox 360 version will be released on Tuesday, July 9th. Time for another trailer! Then there’s Civilization V: Brave New World, the second expansion for the popular turn-based strategy game. The official page goes into great detail about the new features, but here’s the short version. Civilization V: Brave New World features new civilizations, units, buildings, wonders, scenarios, policies, ideologies and a new path to victory by spreading culture. A World Congress and International Trade Routes have also been added. The expansion will be available on Tuesday in the United States and on July 12th internationally. Experience the unpredictability and innovation unique to college football with the Infinity Engine. Get ready for unprecedented control and the most authentic, realistic gameplay yet. NCAA Football 14 gets you closer to the action than ever before and tells the story of every game. Experience the drama of college football from a whole-new perspective. NCAA Football Ultimate Team brings the fan-favorite mode to the collegiate game, allowing you to build up an unstoppable team. There’s no single path to success in college football, so build up your program into a powerhouse to fit your strengths and style of play by utilizing the brand new Coach Skills. Well, there you have it. Football! Oh, who am I kidding, I’m the RPG guy. Hope it’s fun for you fans of the genre though. Here’s the trailer! And here on Gamer Horizon, we’ve been increasing the number of articles we post weekly, so check back every week for On The Horizon, the PlayStation Plus update, a Top 5 and What’s Up Weekend! Also, Ted’s been trying out a SteelSeries Headset, so Tuesday we’ll have a hardware review! We’ve also got a pair of Spoilercasts this week for The Last of Us and The Walking Dead: 400 Days. If you’re waiting for the Shin Megami Tensei IV review, that’s going to be released next week before the game comes out. Finally, we’ll have an editorial about The Last of Us on the subject of morality. Have a great week, everyone! Had I not had all those games in the Metal Gear Legacy Collection, I would’ve picked it up.